SHORT BREAKS: Friday to Monday 3 Night, Monday to Friday 4 Night or Sat-Sat in Summer holidays also available - longer stays may be considered subject to availability - prices on request.. 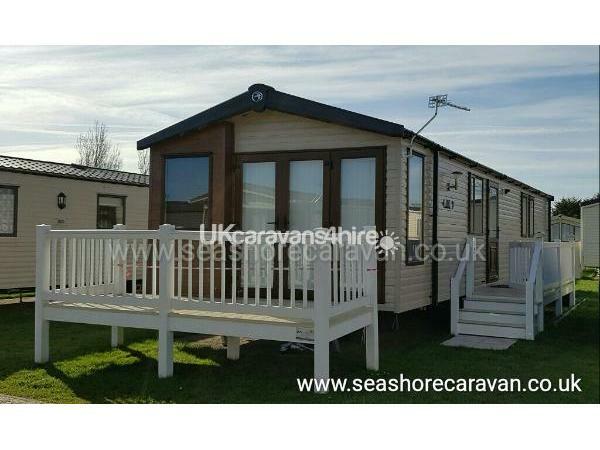 Welcome to our Swift Moselle on Haven Seashore holiday park in Great Yarmouth! 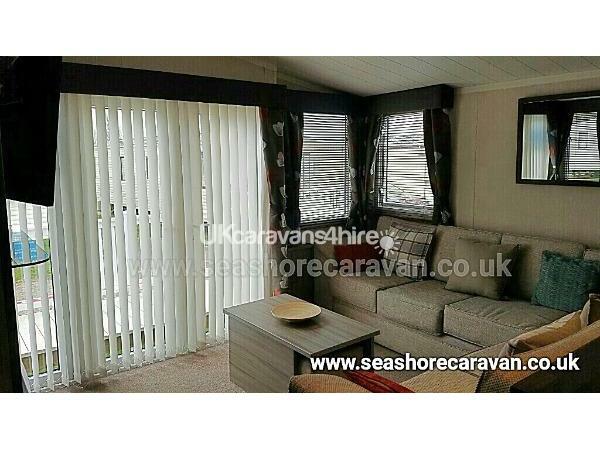 Our caravan is clean and modern inside and well equipped with all your home from home basics. It has a spacious lounge/dining area with a electric fire. 32" flat screen TV including free-view, blu-ray DVD player and we have a selection of DVDs for you to watch on those relaxing evenings in. Fully fitted kitchen with fridge freezer, microwave, cooker, toaster and of course a kettle! We also supply all plates, cups, glasses and cooking utensils. 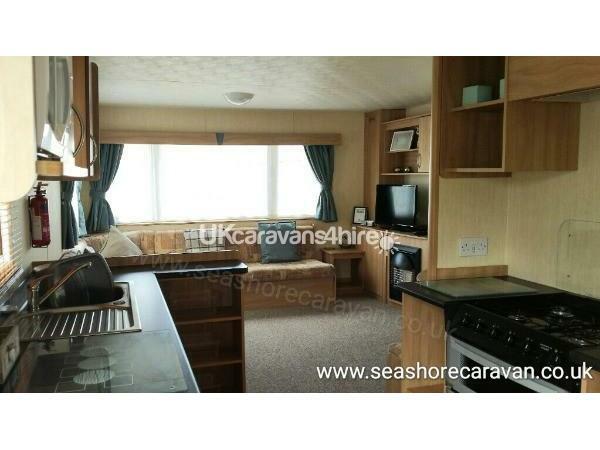 Leading on from there we have 3 bedrooms - 1 double with TV/DVD player and 2 twins all with radiators to help keep you cosy and allowing you to use the caravan in those less than warm months of the year. There is also a shower room and a further ensuite WC. 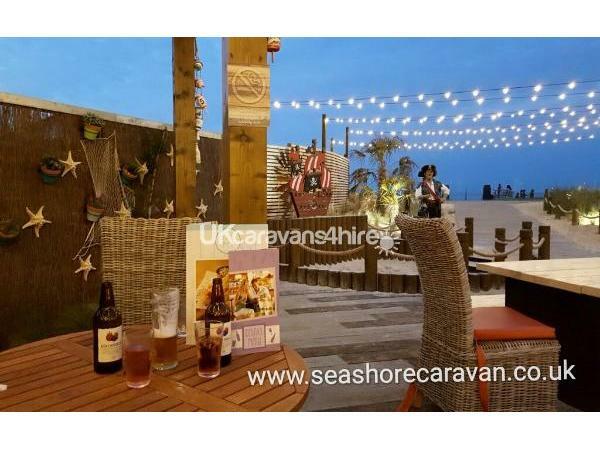 We have two lovely 12ft x 4ft side decks, one with a gate added, the other totally enclosed to the caravan which has a small table and chairs, allowing you to sit out and enjoy a quiet drink or just to enjoy the sunshine! There is an allocated parking space along side the caravan. We are situated on a lovely quiet plot on "Gannet" area of the park, close to the indoor pool and outdoor splash area for the kids with the Mash and Barrel pub/restaurant overlooking so you can enjoy a cold drink while the children burn off some of that energy! For those of you looking for a break that's a little more relaxed our location on the park is just a short stroll away from the sand dunes leading down to the beach... you can even see the wind turbines from outside the caravan! 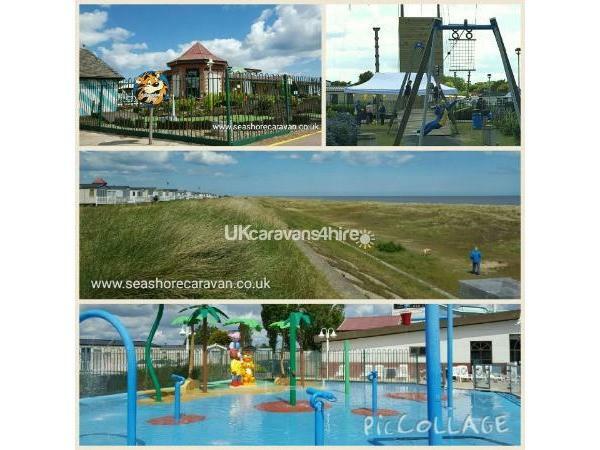 Haven Seashore is a 4* park and has everything you could want from a UK holiday. 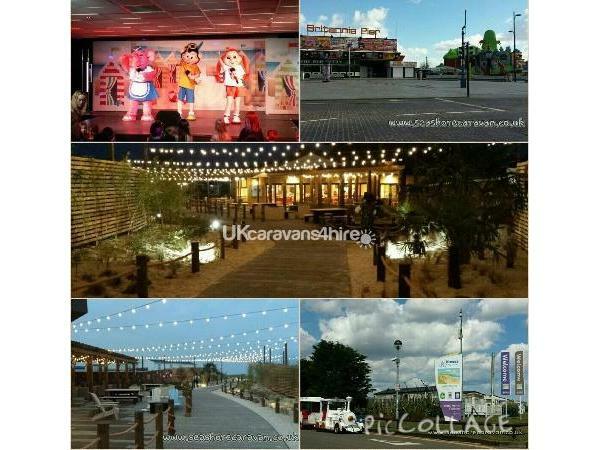 Indoor and outdoor activities, full animation team and evening entertainment, live bands and acts, Arcades, Spar shop, Costa Coffee, Papa Johns Pizza (who deliver to your caravan!) and not forgetting a Burger King. Thank you , We do try to cater for everyone, - We are so glad you enjoyed your stay and you are welcome back anytime. 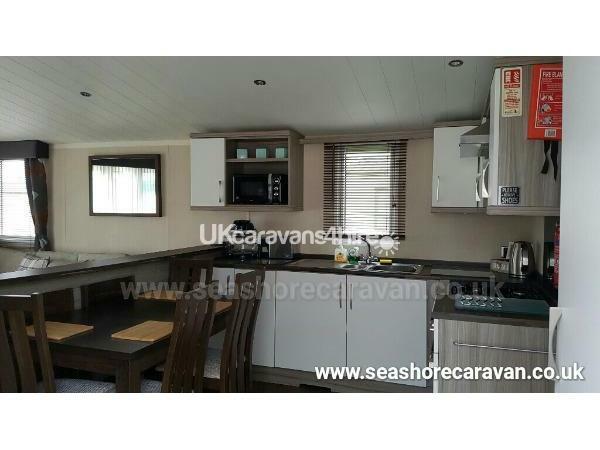 Owner very helpful, booked a last minute 4 day break, great communication, caravan well equipped,clean and homely, great location, thank you. 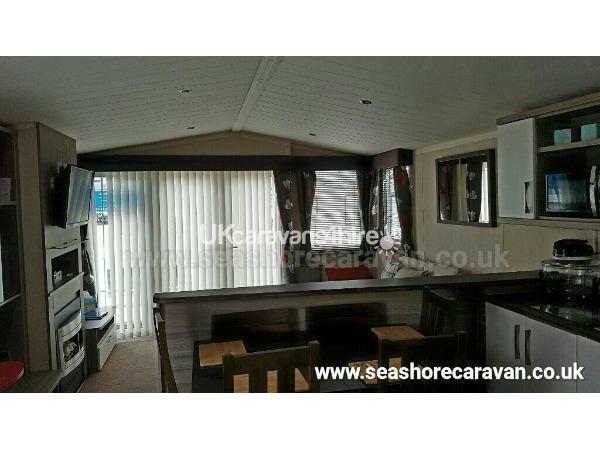 Seashore caravan is a definite must for people to stay if they are wanting to visit great Yarmouth. We've had a fantastic week whilst staying, perfect location for the facilities and prime location to walk to the beach! This was our 2nd visit and we will most certainly be back again next year! Thank you, Its always nice to hear when people enjoy their stay as much as we do - Always welcome anytime ! Thank you, Glad you enjoyed your stay - Apologies for the delayed comment, I only just noticed I had to click the button !! Appreciate the feedback and hopefully will see you again soon.